Yajnavalkya is credited to be the one who coined the word Advaita (non-dual) one of the important traditions within Hinduism. He is also mentioned in various Brahmanas, Aranyakas and Upanishads. 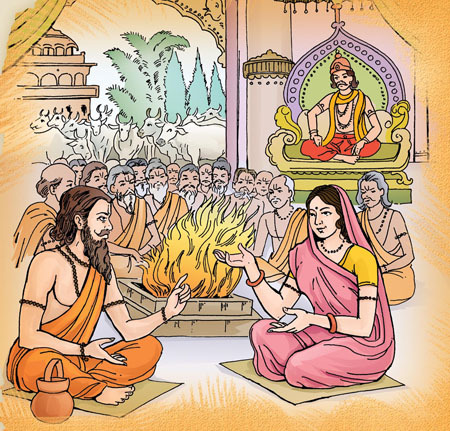 Yajnavalkya is also famed in the Indian tradition for being a Vedic scholar who welcomed participation of women in Vedic studies, and Hindu texts present some of his most significant philosophical ideas in the form of his dialogues with two women, Gargi and Maitreyi. 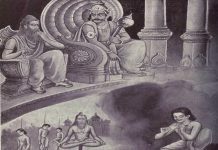 Yajnavalkya is associated with several other major ancient texts in Sanskrit, namely the Shukla Yajurveda, the Shatapatha Brahmana, the Brihadaranyaka Upanishad, the Dharmasastra named Yājñavalkya Smṛti, Vriddha Yajnavalkya, and Brihad Yajnavalkya. He is also mentioned in the Mahabharata and the Puranas. 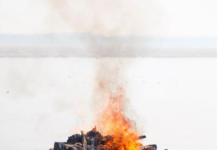 Previous articleWhy is it so hard to see or experience the Atman ( आत्मा) ? Next articleWhy does Veda negate itself saying “Veda cannot reach there”? Do we take rebirth after death and pass through the cycle of 8.4 million species?